What Is Ancillary Probate And When Is It Required? - Crooks, Low & Connell, S.C.
Probate is the process of handling someone’s estate after their death. When a probate proceeding is opened in Wisconsin and the property is located in Wisconsin, the Wisconsin courts can handle this process and ensure that the debts of the estate are fully paid off and the beneficiaries of the estate receive the assets that they are entitled to. Sometimes, however, a decedent’s assets may be located in Wisconsin, but they may have lived in another state at the time of death or, for whatever reason, their estate is being probated in a different state. This means that the Wisconsin courts must assist in the distribution of assets that are in their state, in conjunction with a proceeding that is occurring in another state. This is known as ancillary administration. While ancillary administration used to be rarer, it is becoming commonplace now that individuals are likely to move frequently for work, family, or travel, and may acquire homes or other assets as they move. More and more individuals have estates that transcend state boundaries and require jurisdictions to work together to fully administer an estate. When Does Ancillary Probate Arise? Ancillary probate can become necessary whenever a decedent has property that is located in a different state other than the state that is handling the decedent’s estate, and the decedent wants to transfer that property to another individual. Assets in another state do not mean things like clothes, art, or appliances that just happen to be located in a different state at the time of death. Rather it means things that under the jurisdiction of another state – primarily real estate. Because real estate is governed by the law of the state where it is located, an out of state probate proceeding cannot handle the transfer of that real estate. Instead, an ancillary in-state proceeding must be started. For example, say that your grandmother has been living in Illinois for the past twenty years and passes away there. A probate proceeding is opened in Illinois to handle her estate. But she also has a lake home in Wisconsin that she would like to pass along to one of her grandchildren. Instead of the Illinois probate process handling this real estate transfer, an ancillary proceeding would be opened in Wisconsin to probate this part of the estate. How Is an Ancillary Proceeding Opened? Ancillary proceedings are usually opened by the current administrator of the estate once it becomes clear that there are out of state assets such as real estate that must be transferred. The administrator will need to file the proper application of an ancillary probate proceeding with the Wisconsin courts and provide copies of the necessary estate and probate documents with the Wisconsin courts. The administrator will need to provide proof of what the decedent wanted to happen with the property, such as a will, and proof that there is ongoing probate in the decedent’s state of residence. If, for some reason, the Wisconsin courts believe that the estate can be properly administered without opening an ancillary proceeding, it can deny the application. Is There A Way To Avoid Ancillary Proceedings? Ancillary proceedings can be annoying and expensive, as they require an estate to proceed through two separate court proceedings and typically will require separate local attorneys to deal with each proceeding. For this reason, many administrators and beneficiaries are eager to avoid the process if at all possible. Wisconsin law does provide two different ways that land owned by out of state residents can be transferred without opening an ancillary probate proceeding. First, under Wisconsin law, if the decedent has been dead for at least six years, and out of state probate has been successfully completed in another state, an authentic copy of the decedent’s will and copy of the probate can be provided to a Wisconsin court to obtain a certificate of assignment. This certificate of assignment allows the land held in Wisconsin to be transferred from the decedent to the beneficiary without going through ancillary proceedings. The most important aspect of this route is ensuring that the necessary time has passed and that the petitioner has all the necessary authenticated paperwork. Second, where no personal representative has been appointed in Wisconsin for the out-of-state decedent’s estate, the personal representative of the out-of-state estate may file an authenticated copy of his or her appointment and seek to take control over the Wisconsin estate and distribute its assets as well. Neither of these processes is either easy or fast, and the reality is that the easiest way to avoid ancillary probate is to structure your estate and out-of-state assets so that they will not need to go through the probate process. This might mean placing the real estate that you own into a trust, or creating a transfer upon death deed. Another option would be to add the future beneficiary as a co-owner on the title of the property. With a little forward thinking and the assistance of an estate planning attorney, there are many ways to ensure that ancillary proceedings do not need to be relied upon in Wisconsin or any other state. While many beneficiaries would certainly like to avoid the ancillary probate process, the reality is that whether probate is necessary is not up to them, but up to the decedent and the original plans that he or she made. If you find yourself dealing with an estate that requires ancillary proceedings to be opened in Wisconsin, you will need to hire a Wisconsin probate attorney. 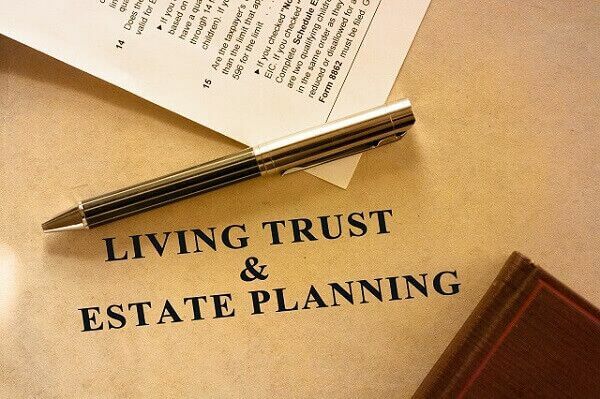 If you are a Wisconsin resident who has out of state property and you are trying to figure out how to structure your estate so that your loved ones don’t have to deal with ancillary proceedings, this can usually be done with a little creative estate planning. Not only will this proactive approach give you peace of mind, but it will save your beneficiaries time and worry down the road. No matter whether you are the beneficiary or an individual planning your own estate, the estate and probate attorneys at Crooks, Low and Connell, S.C., may be able to assist you with all of your needs. For more information, contact us online or at. (715) 842-2291.